Upon acquiring West 19th Street, the Dixon Projects team discovered it was infested with mould. 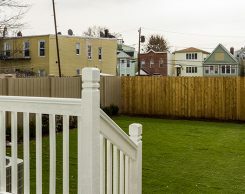 After having the situation abated, the City of Bayonne wanted to expedite the renovation project, so the team was faced with a decision to renovate or sell. 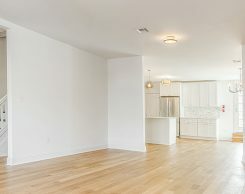 After a successful negotiation with a contractor, Dixon Projects decided to move forward with the full-gut renovation at a very low price for a single-family home. 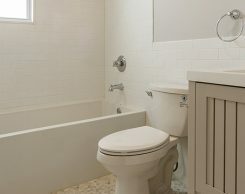 Through careful planning, the Dixon Projects team was able to stay under budget and produced a fabulous result. 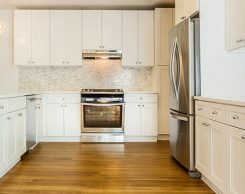 The finished product showcases a spacious, open layout with lustrous hardwood floors and a gourmet kitchen with brand-new stainless steel appliances, a large breakfast bar and beautiful custom cabinetry. This home boasts copious amounts of outdoor space, a rarity for the neighbourhood. An open deck overlooks the tranquil backyard and garden, while one bedroom provides access to a private front balcony. 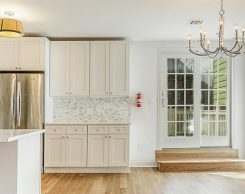 Other highly desirable amenities, like a washer + dryer and custom closets, have been added to this home.